Team Integra Forums - Team Integra > General > Team Integra News > Most Popular Type R, EVER? 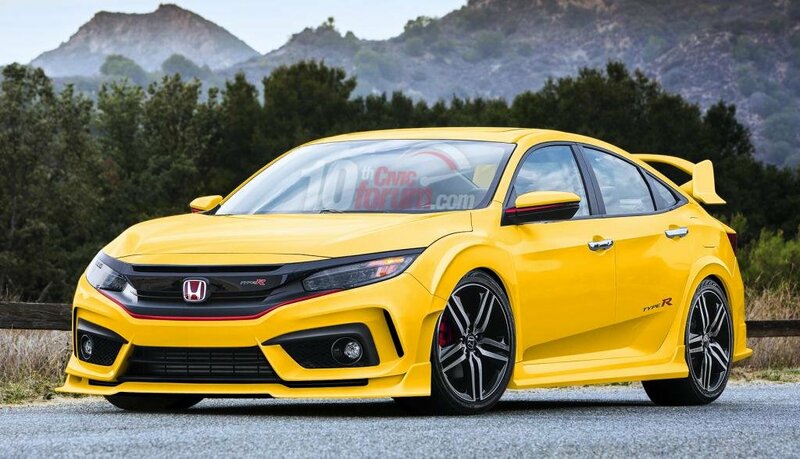 As Honda quietly gears up to launch the 2016 Civic Coupe in LA next week, we turn our attention back to the Type R.
Are we in for the most popular Type R to ever come from Honda? We think so, doesn't it look great in Phoenix Yellow? Speaking of Pheonix Yellow, back when the DC2 Integra Type R was being sold in the USA nearly 40% of them went out the door painted Pheonix Yellow. Funny enough back when the DC2 was rolling on American roads Honda was busy selling it's most robust Type R lineup ever. The DC2 had been made available outside Japan for the first time in 1997 while Honda quietly continued to sell the DB8 4-door Integra Type R in the JDM market. I admit it does look nicer in yellow... but for me..